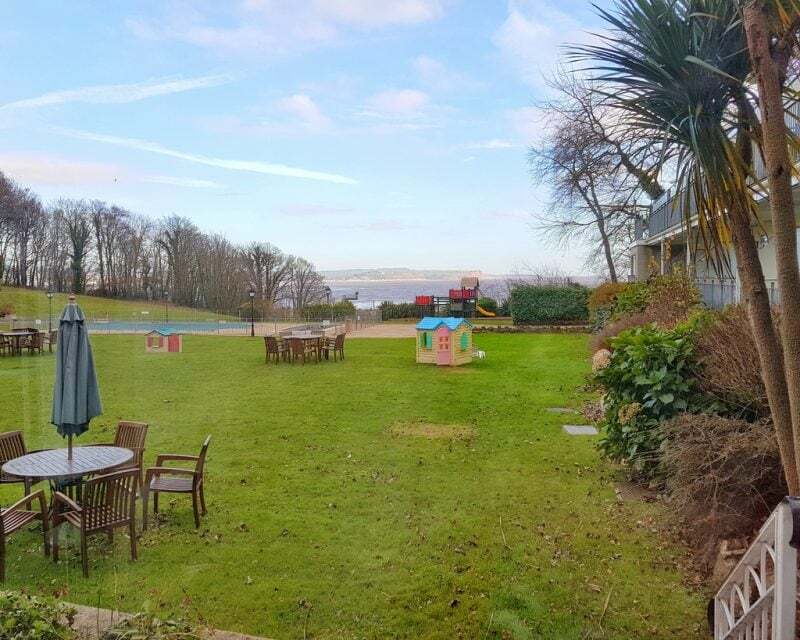 The Langstone Cliff Hotel is set in nineteen acres of woodland in Dawlish Warren, on the beautiful south Devon coast, and claims to be ‘one of the most family friendly hotels’ in the county. 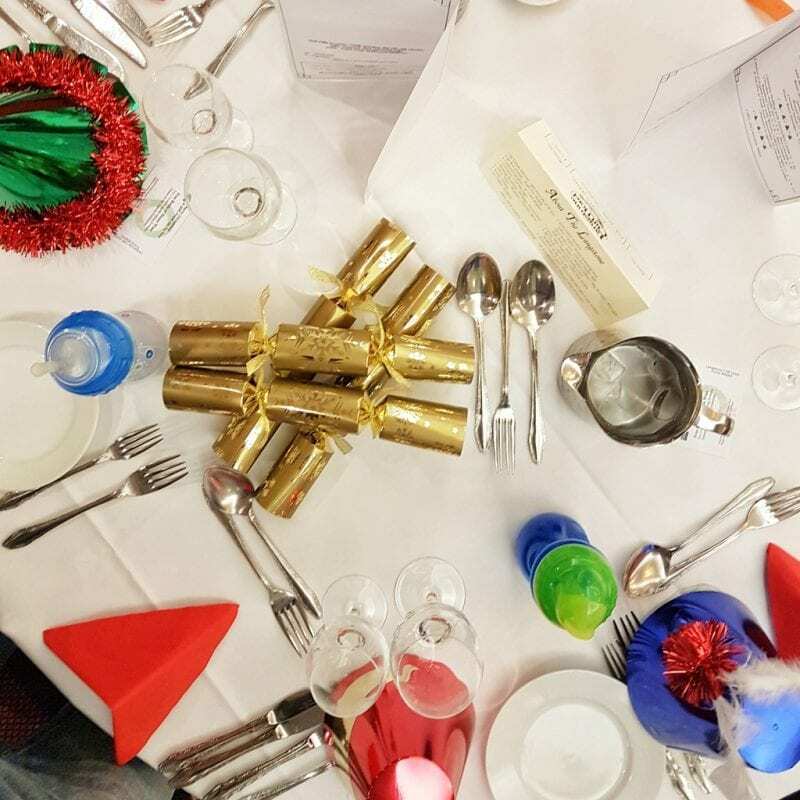 Last weekend we had the great pleasure of staying at the Langstone just as their festive events were beginning. The claims about the Langstone being friendly and family oriented are not overestimated. 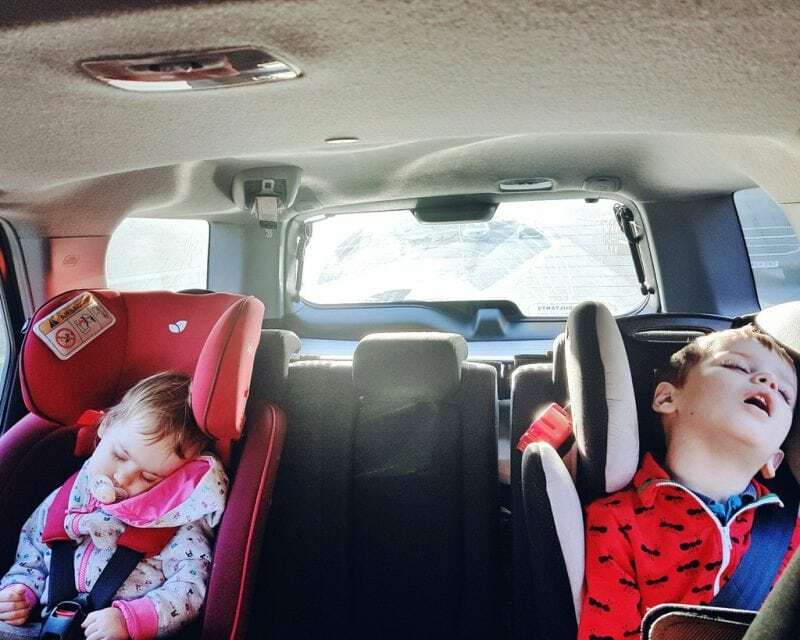 I don’t think I have ever felt so welcomed while travelling with two small (and often difficult to manage) children. All the staff went out of their way to make us feel comfortable. No one minded that Littlest was rampaging through every room giggling maniacally. No one seemed to mind Biggest’s odd outburst as he struggled in a new place. 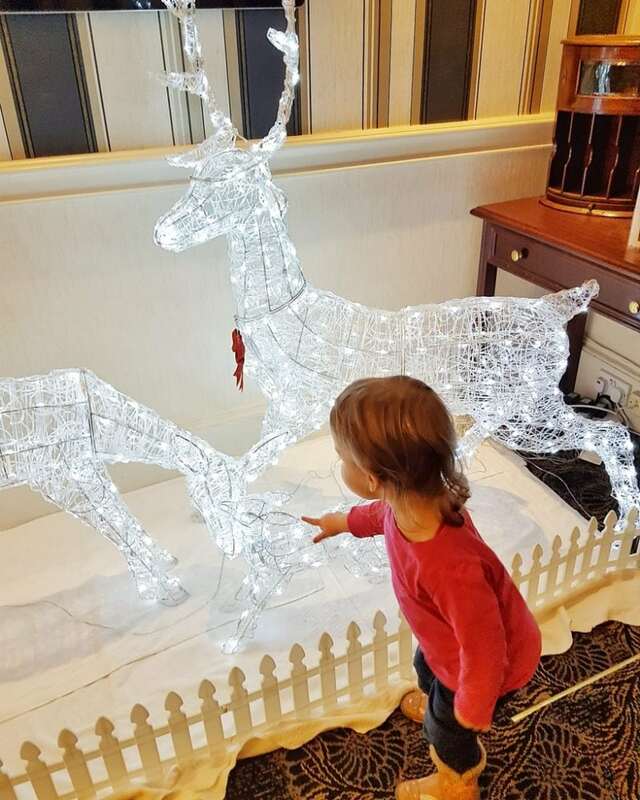 The hotel was full of festive cheer and, despite the chilly weather, we came away feeling relaxed and happy. 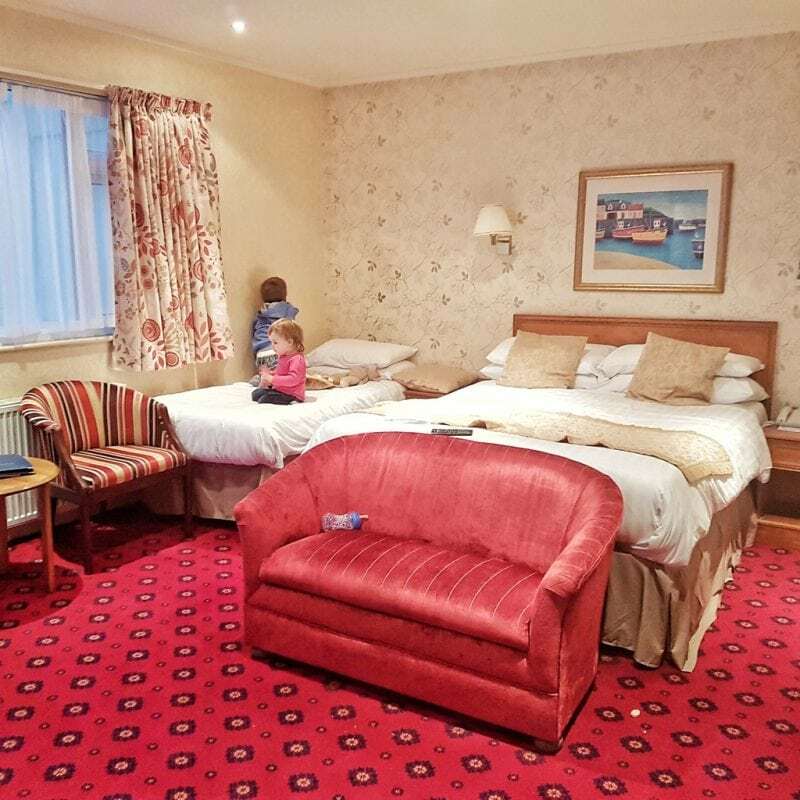 We had a family room which easily fit two single beds, a double bed, and a cot with plenty of space to move around. The room was clean and pleasantly decorated. Too often when staying in rooms that claim to cater for the whole family, there is no room to move once everyone’s sleeping arrangements are met. Family rooms at the Langstone Cliff were spacious and could comfortably have housed families bigger than ours. 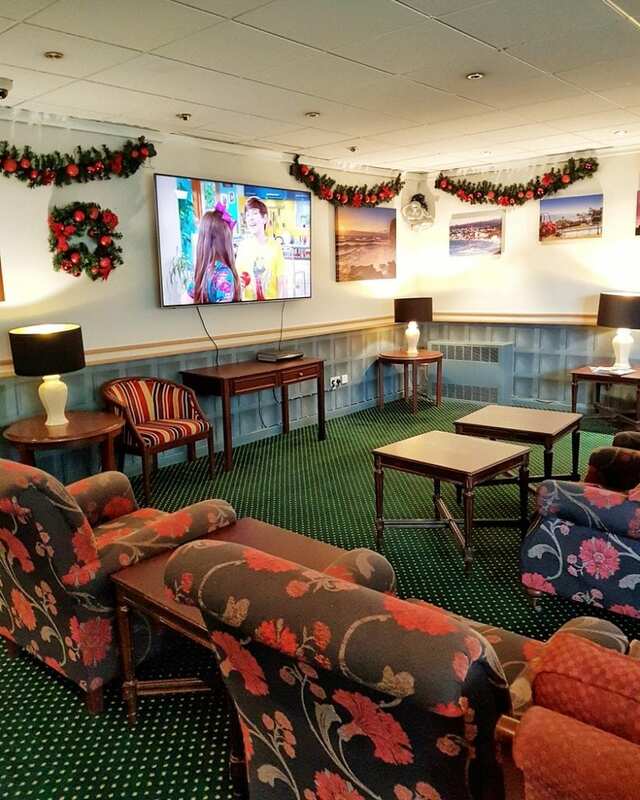 The Langstone has a range of rooms and facilities that can be used by families. 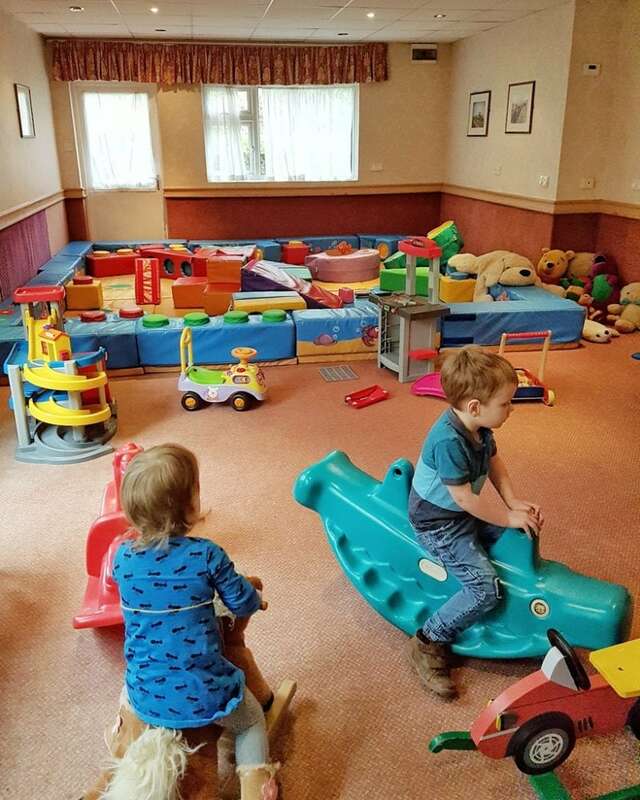 As well as a swimming pool, television room, various lounges and bar space, and a beauty salon, there is also a playroom for children and a dedicated restaurant. We didn’t get out much on our visit, as it was a very windy December day, but there is also attractive and extensive outdoor space. This was ideal for us as it meant there was so much for the children to explore. Unfortunately, we didn’t get to use the pool this time as I foolishly forgot my swimsuit. We did, however, get outside to explore the beautiful surroundings. 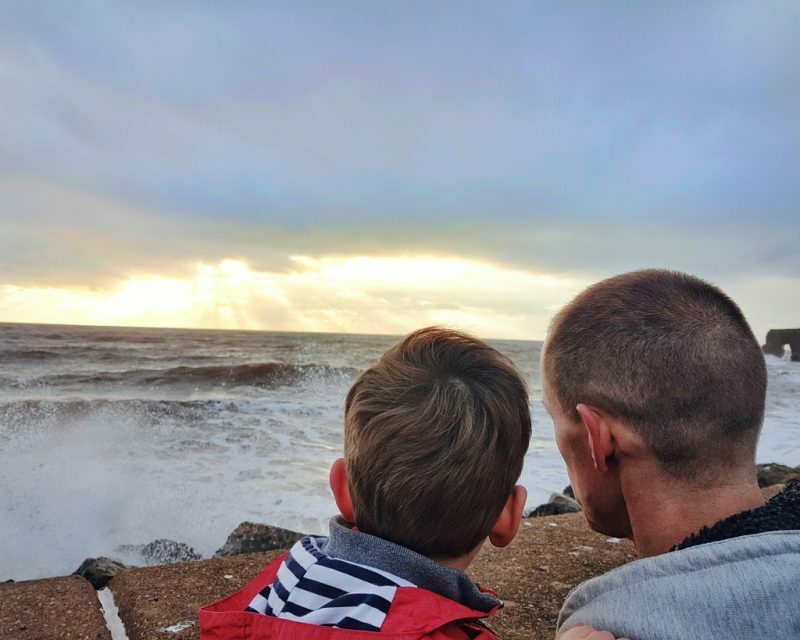 The day was very blustery and the sea far too rough to make it very close to the beach. I think you will agree that it was still breathtakingly beautiful. 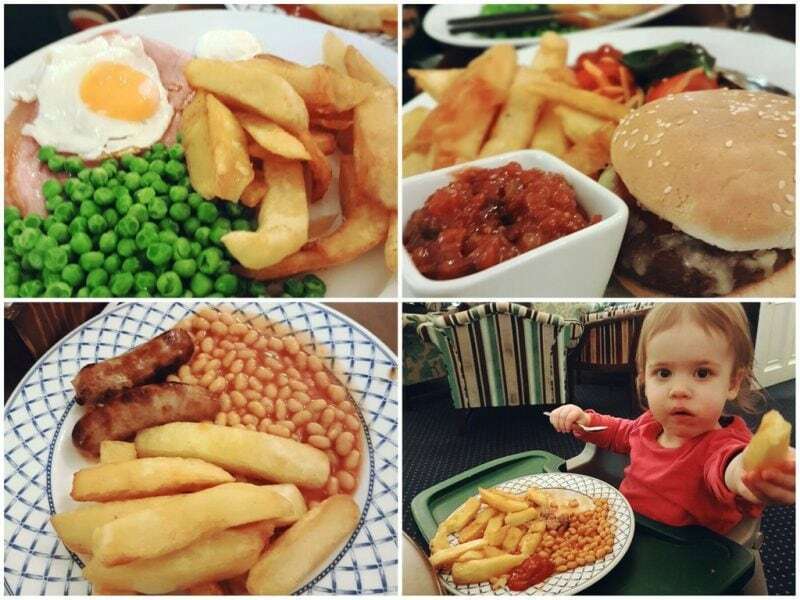 We were lucky to try all three meal times during our stay. 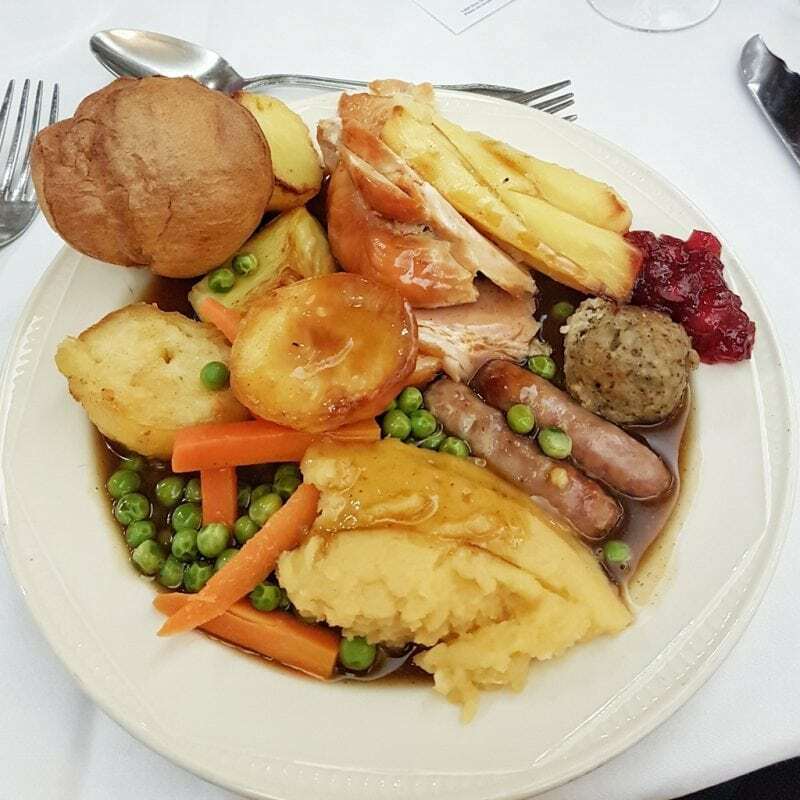 The hotel offers breakfast, lunch, and dinner in its restaurant but there are also pub meals available all day in the bar area. We opted for this on our first evening as dinner was served a little late for Biggest and Littlest. 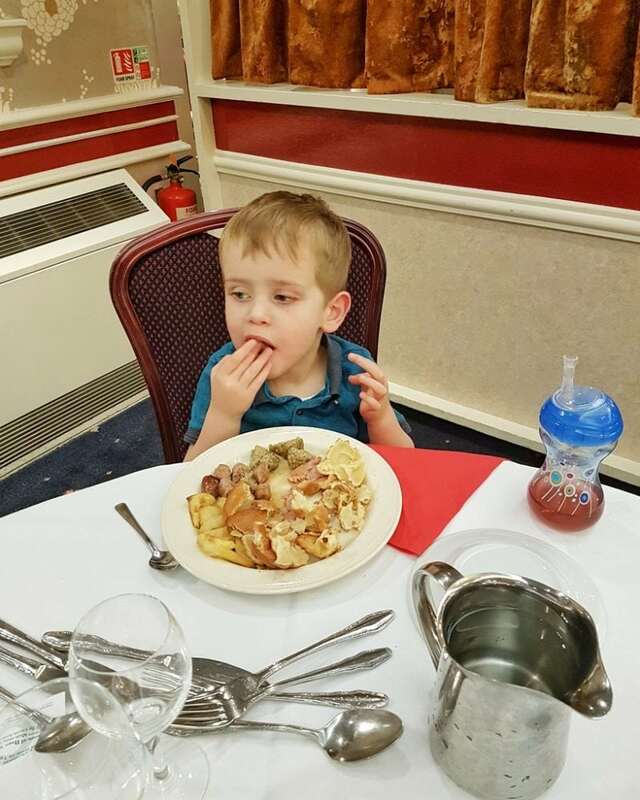 The hotel staff were happy to be flexible and let us use the drawing-room to eat bar meals. It should be noted that they do also offer supper for children at 5 pm. The bar food was served in ample portions and very tasty. 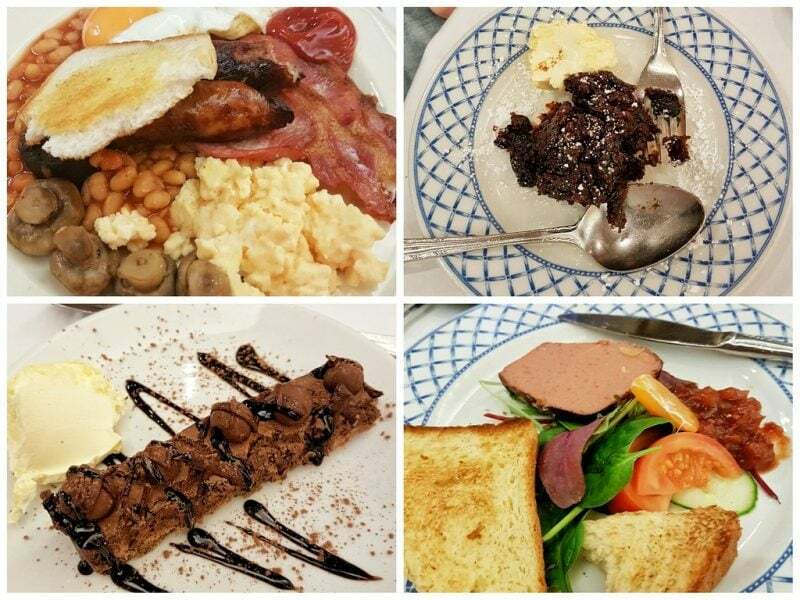 Likewise, the full English breakfast was delicious and the staff were happy to provide table service or let guests help themselves. 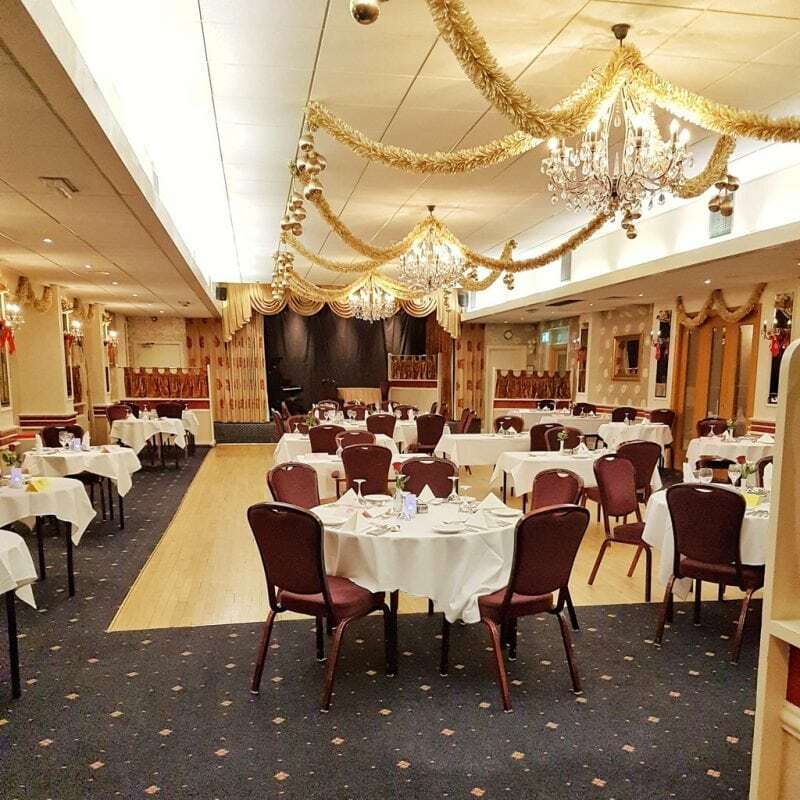 By far the highlight of our meals at the Langstone was the ‘Christmassy Sunday’ Christmas dinner carvery. 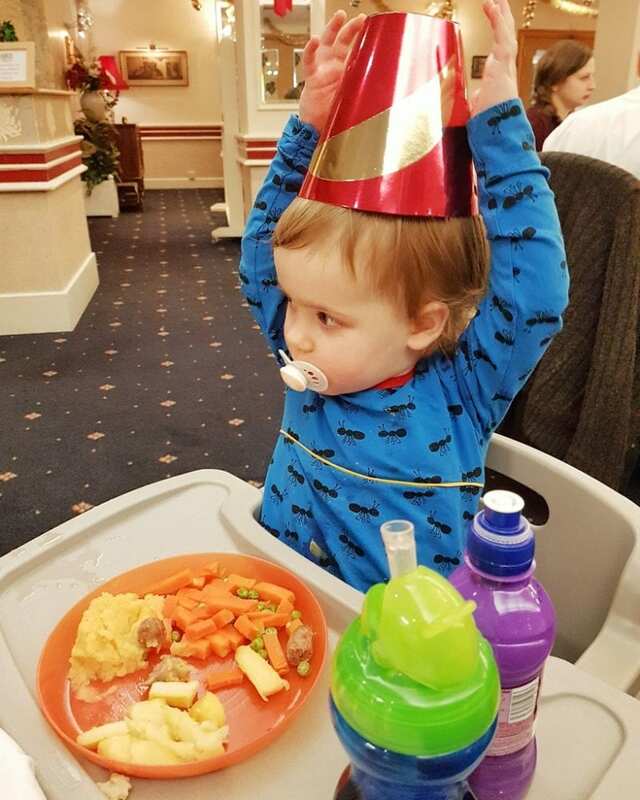 Crackers, party hats, and entertainment were provided – as well as all the trimmings of Christmas dinner. It really was the best way to start the festive season. 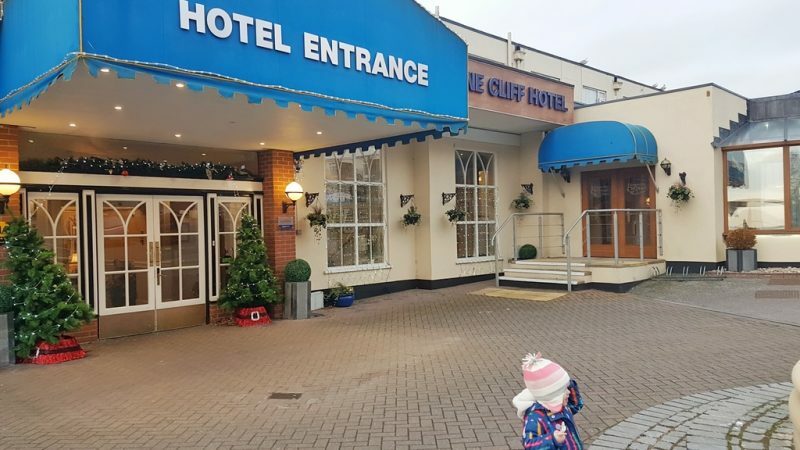 We had a wonderful stay at the Langstone Cliff and I was sad that we weren’t staying longer. It was the kind of hotel where I am sure, if we had been there a few days, we would have built up great relationships with staff. 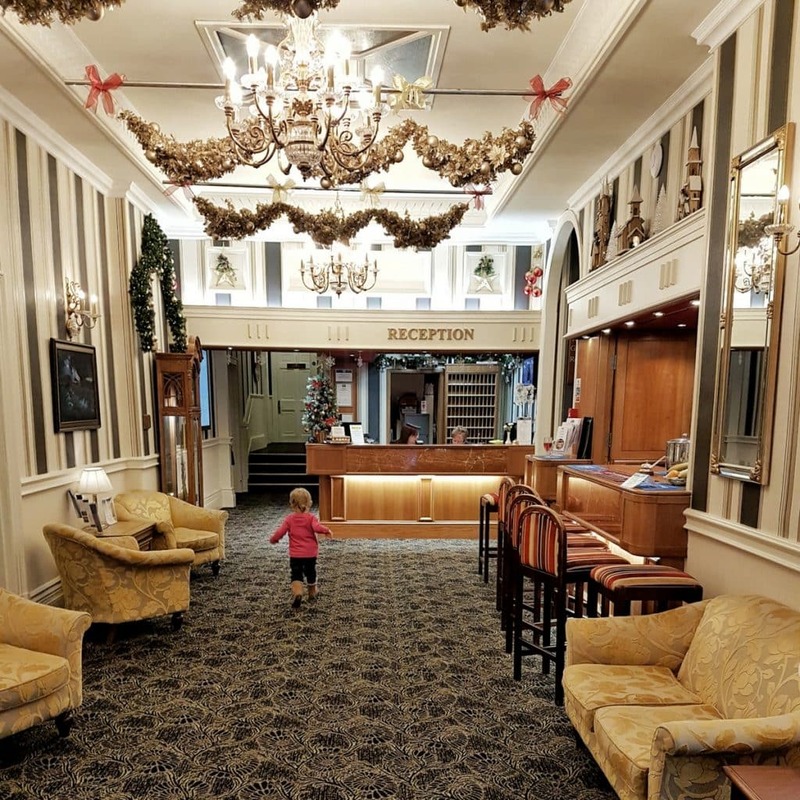 It was relaxed and homely – but with beautiful surroundings inside and out and all the luxuries that a stay at a really good hotel should include. I would love to be able to revisit the Langstone for a longer stay one day. That sounds fabulous, and looks gorgeous! I hadn’t heard of it before; thanks for reviewing it!